Lack of funds is leading to more problems than just non-payment of salaries at national carrier Air India. 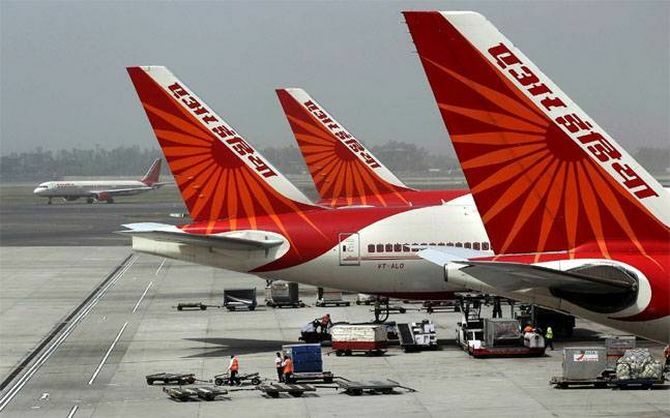 According to the Indian Commercial Pilots Association (ICPA), Air India has grounded 23 per cent of its present fleet, mainly due to lack of spares and poor maintenance. A letter by ICPA president Deepankar Gupta to airline’s chairman and managing director (CMD) Pradeep Singh Kharola points out that eight of the 20 A321 aircraft are grounded. It means 40 per cent of the fleet is currently unable to operate. Of the 22 A319 aircraft, four are not operating. The A320 fleet is faring better as they are newer. The Boeing fleet, too, is not fully functional. Of the 15 B 777-300 aircraft, five (33% of the fleet) are grounded for one reason or the other. Things are a bit better on the B 787 fleet, where just two of the 26 planes are not operational. According to ICPA, $3.6 billion (Rs 25,000 crore) worth of aircraft - by today’s prices - are lying idle or are in hangers due to poor maintenance and management. This is the reason, pilots say, a lot of flights are regularly cancelled or rescheduled. Twenty-three per cent of the fleet not available is far higher than industry standard. Usually, 95 per cent of any good airline’s fleet should be available at any point. SpiceJet fleet availability was 99.7 per cent for FY18, a source in the airline said. Senior management sources refuse to comment on the immediate situation but another source says an aircraft being in “hangars is not something new” for Air India. At any point, the source adds, Air India is the airline with the maximum number of aircraft not operating and this has been the case for the past two decades. Sources say the relationship between pilots and management in the airline has reached a new low. August was the fifth month in a row when salaries of the employees were delayed. Dues, too, have piled up and most of the pilots have given up demanding settlement. In another development, the CMD has issued a directive saying all pilots are “not to exceed monthly flying above base average hours or 70 hours whichever is lower”. The airline warns of vigilance inquiry against the pilot if found violating the directive. Pilots also allege they are being selectively targeted and action is being taken against them for “unjustified” reasons.